The Whitney Museum has several interesting exhibits running at the moment. I went along to see Edward Hopper’s drawings, shown in their complete for the first time in several decades. It’s superb. But Robert Irwin’s ‘scrim veil’ stole the show for me. It’s astonishing. The scrim veil takes up the whole 4th floor, dividing it in two, with a continuous black line connecting it around the walls. It’s size and simplicity is completely unnerving. 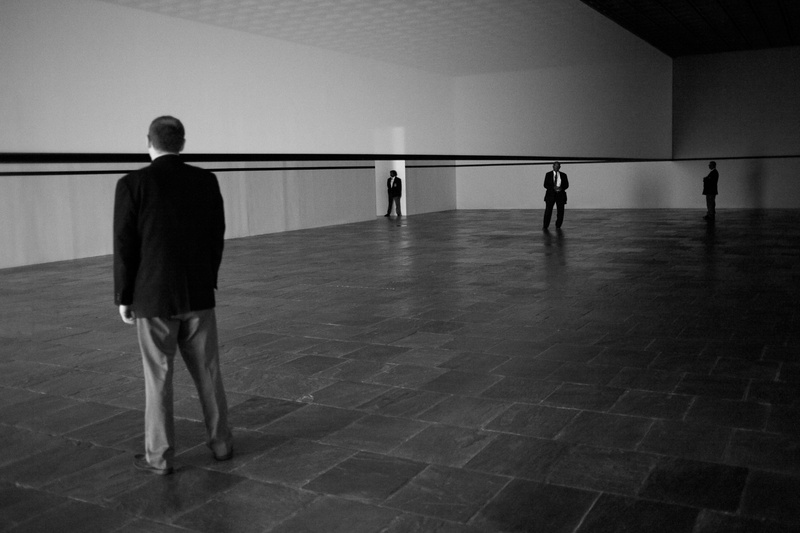 I loved the interplay and composition of the four security guards with the veil within the featureless gallery.